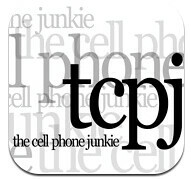 The Cell Phone Junkie Podcast is a free weekly show providing comprehensive news coverage of the mobile phone industry. Each show is hosted by Mickey Papillon and Joey Koppes, and features a listener segment to answer your questions. The podcast is updated every Sunday evening. Just checking to see when my subscription to the unlocked show is up. Thanks for all the great info. Being an avid Android nut who flashes new roms weekly, just don’t understand how anyone could enjoy such a locked down device as the I-Phone. Screen is too small and after one week the phone gets old. Just my opinion. PS Just picked up the Rezound from Verizon, great phone with powerful radios and signal. Much more powerful than the Thunderbolt. 1st phone I have not rooted in the same day I bought it. Everything just works.